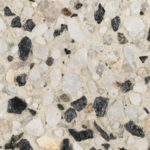 At Fluid Limestone in Perth, WA, we specialise in liquid limestone and exposed aggregate surfaces for spaces such as driveways, gardens, backyards, pool surrounds, patios, walkways, and other outdoor areas. Whatever type of exterior renovation project you have in mind, we can help you to achieve outstanding results within your specified budget. 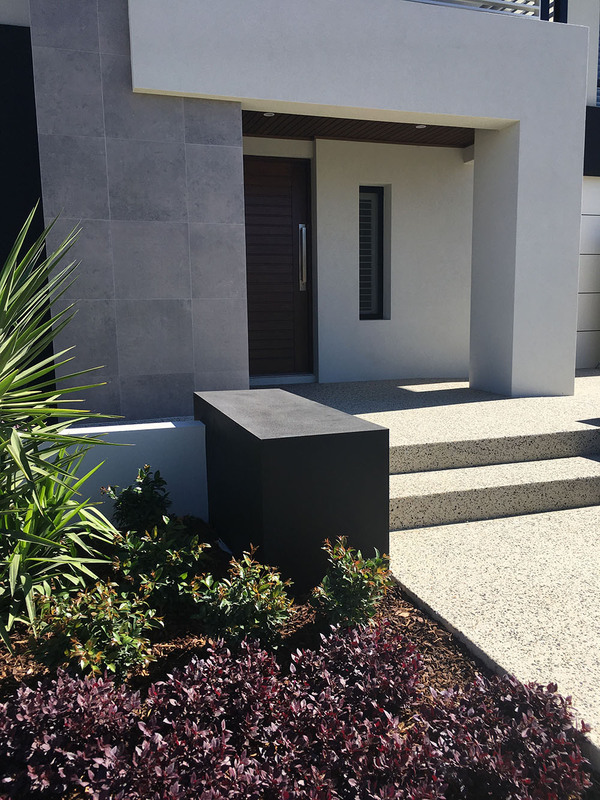 Although we specialise in exposed aggregate and liquid limestone, we have plenty of experience of working with other concrete surfaces, pavers, and custom inlays so whatever your requirements, we are sure that we can meet them. If you have an enquiry about a new project, or if you need a quote, then get in touch and we will get back to you as soon as possible. 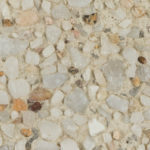 Why use Exposed Aggregate in Perth ? 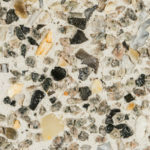 Enhanced Durability – The top layer of aggregate takes most of the pressure from vehicles or foot traffic, protecting the concrete underneath. 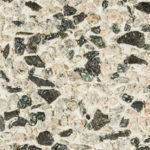 This ensures that cracks and splits are a rare occurrence with such surfaces. 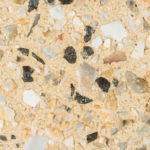 Unique Appearance – The choice of aggregates and the custom nature of the mixing and application processes means that every surface is unique. 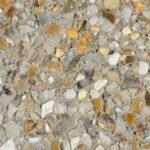 If a bland, grey concrete surface does not appeal to you, an exposed aggregate surface is the perfect solution. 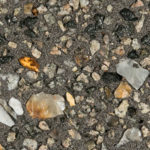 Increased Traction – The rough nature of the surface provides extra traction, which is particularly useful in wet conditions. 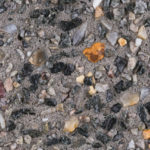 If you are interested in premium finishes, exposed aggregate surfaces can be completed with a number of attractively coloured materials for visually stunning results. 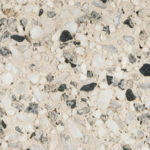 All of the materials and labour practices that we use meet or exceed current Australian Standards so quality and safety are not issues you will ever have to worry about when we are working in and around your home. 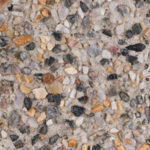 The way that we approach the creation of a new exposed aggregate surface depends on the area in which we are working. 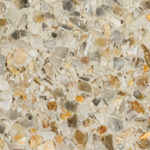 For new surfaces that will replace a completely unprepared area such as bare earth, we will normally create a foundation of stakes and planks, over which a concrete mix is poured. 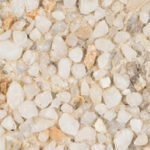 For more even surfaces, such as existing walkways and driveways, we will start by moving sand and levelling the ground, before pouring the initial concrete mix. 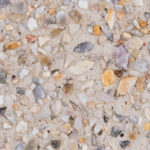 Whichever approach is called for, the next stage involves the application of a surface retarder that will keep the uppermost layer of concrete wet whilst the lower layers dry completely. 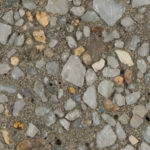 The final stage involves the application of the exposed aggregate onto the still wet concrete surface. 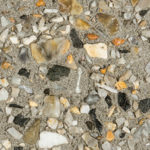 This final layer of gravel and stones is literally thrown across the wet concrete, producing a unique finish that can be customised to suit your personal preferences and needs. After an hour or two, when the uppermost surface is partially set, we use a roller and push broom to ensure that an even distribution is achieved. 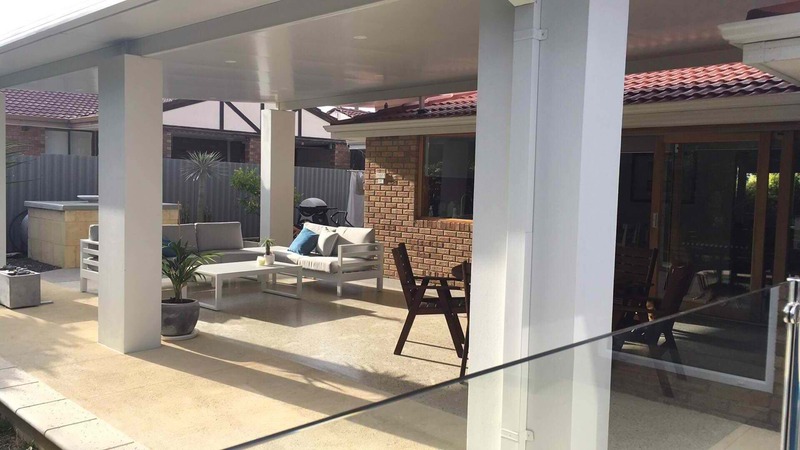 The concrete pavers and exposed aggregate surfaces that we create are an extremely durable, low maintenance solution for areas such as pool surrounds, backyard patios and outdoor play areas. They are very easy to to keep clean – a quick spray with the garden hose is all that is normally required, and they do not attract insects or dust. 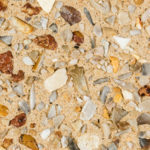 Their durable nature means that they are able to provide many years of service without any noticeable degradation, even in high traffic areas. 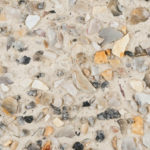 Concrete and exposed aggregate stays much cooler than most materials in hot weather conditions and because we can customise the mix, and the type of stones used, we can create surfaces that blend in perfectly with the existing exterior of your property or the flowers you have chosen to plant in your garden. 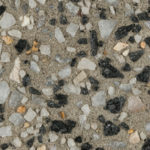 In short, exposed aggregate provides all of the longevity and practicality benefits of concrete with none of the aesthetic drawbacks. 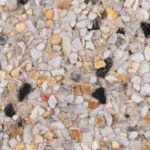 Most customisable surfaces attract a premium as far as pricing is concerned but this is not the case with our exposed aggregate solutions. 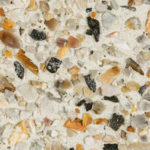 Because you can choose from a wide variety of concrete mixes and different types of aggregate, your new surface can be tailored to meet your budgetary needs as well as your personal preferences and practical requirements. 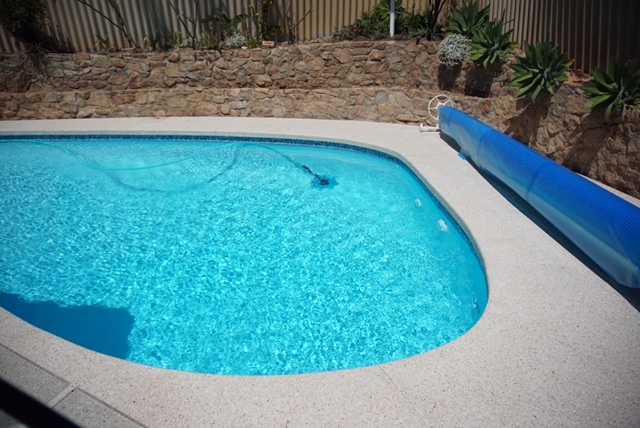 Call us today on 9307 6498 to discuss your needs in detail or to request a comprehensive and accurate quotation. 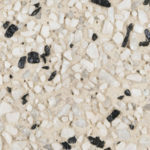 Please note: All imagers are indicative and illustrative only of the type of finish expected. 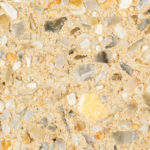 No guarantee of the product’s colour or texture is given or implied. 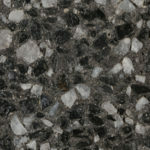 The colours pictured on this sample swatch card are based upon a sealed surface. 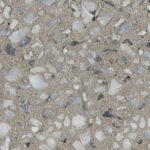 Limecrete highly recommends viewing physical samples at one of our display locations before a final concrete colour selection is made. Visit the Limecrete colour display at Home Base Expo Centre, 55 Salvado Road, Subiaco. 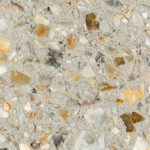 Absolutely superb service from Fluid Limestone – definitely masters of the trade who are extremely efficient, From Start To Finish And reliable City Honest! 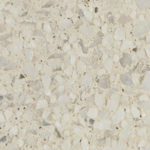 Have the We recommended Limestone Flu is all of our friends and family. If only all Perth tradesmen were this much of a pleasure to deal with !!! Thank you, Brett and Melissa, for your 10 Service. 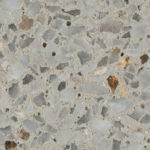 We are so happy with our limestone concrete. The boys were so obliging, efficient and tidy and they have delivered a fantastic result. I have not received your invoice yet and I wanted to pay you prior to the weekend as we are going away. Many thanks once again for a fantastic job. 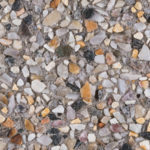 Our customers receive nothing less than the best outdoor flooring solutions available in Perth. © 2018 Fluid Concrete. All Rights Reserved.